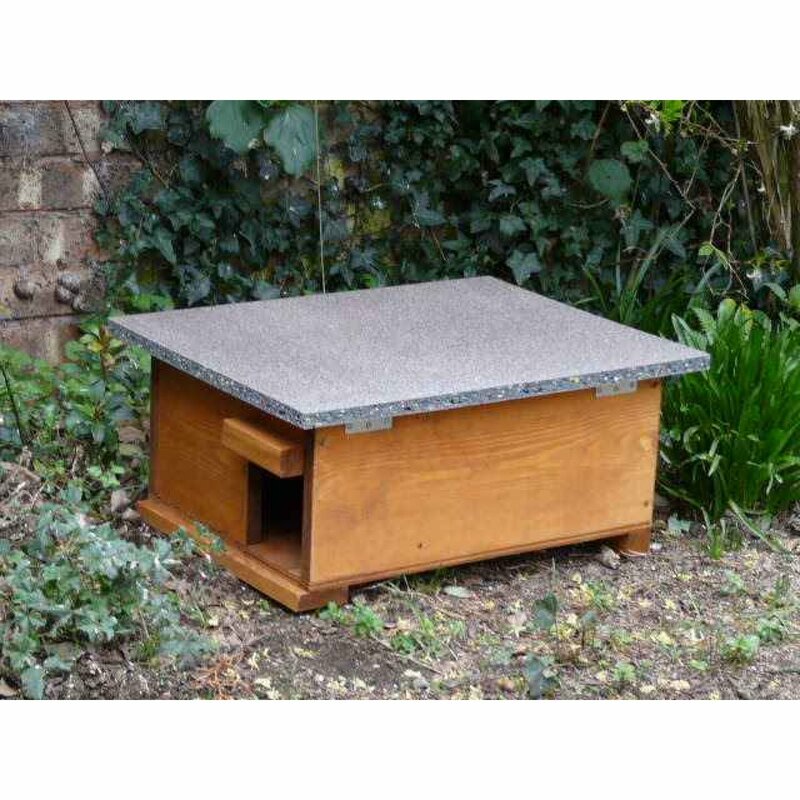 We've added an Eco friendly roof to this Hedgehog House, made of 18mm composite recycled materials, which has the added benefit of being completely waterproof and rot proof. 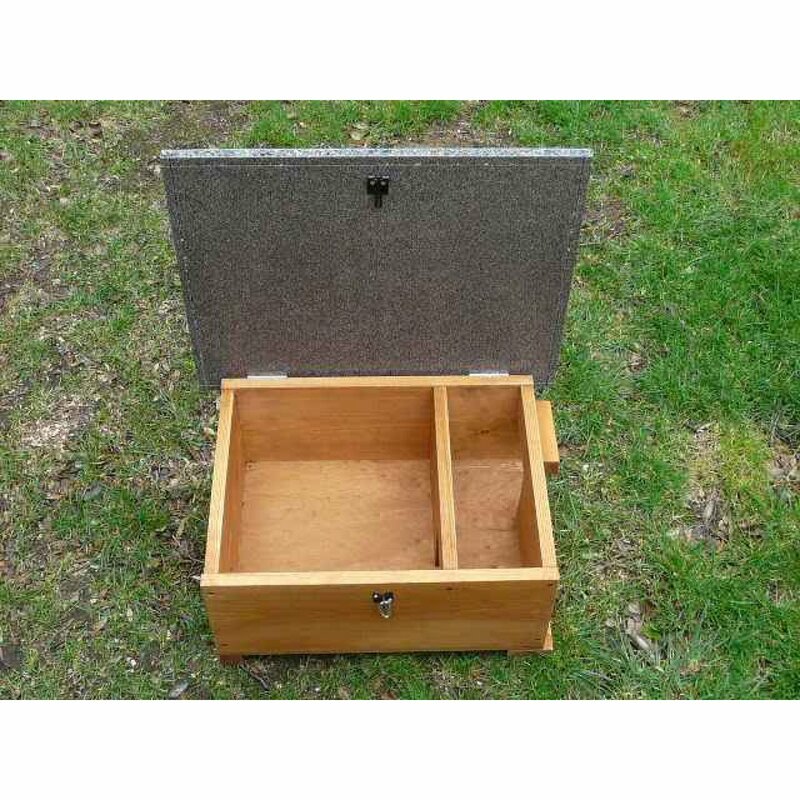 This lid is hinged and lockable. 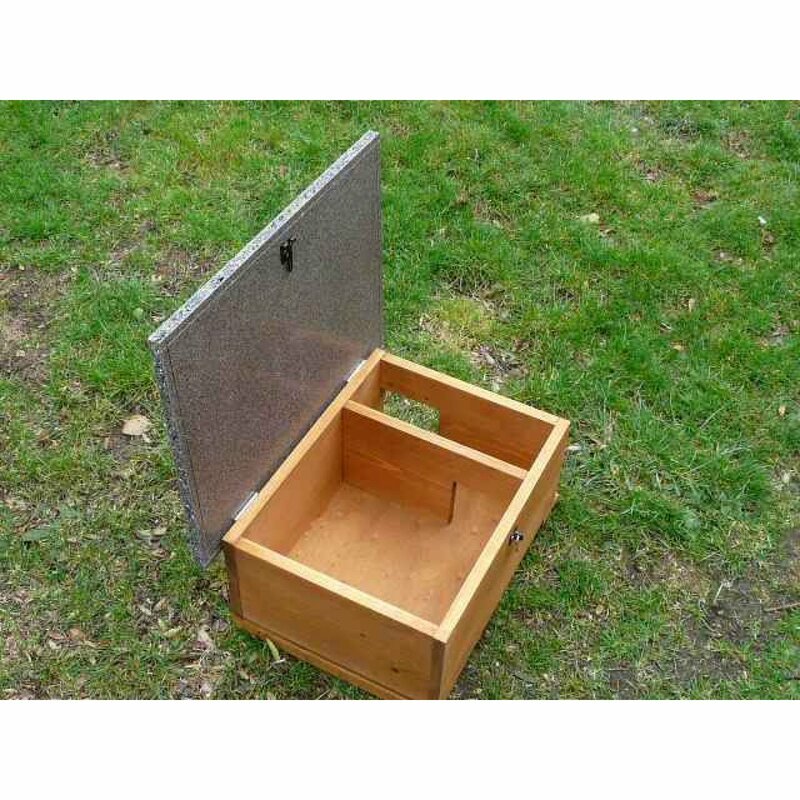 Hedgehogs may use this box for hibernation amongst other things, so you may well find it in use all year round. When I read about making hedgehog houses, they usually advice to drill a hole for a breathing hole to aid ventilation. What's your take on this as I notice none of yours have any. Are they needed? I've read it helps reduce condensation inside the box from the hogs breathing. 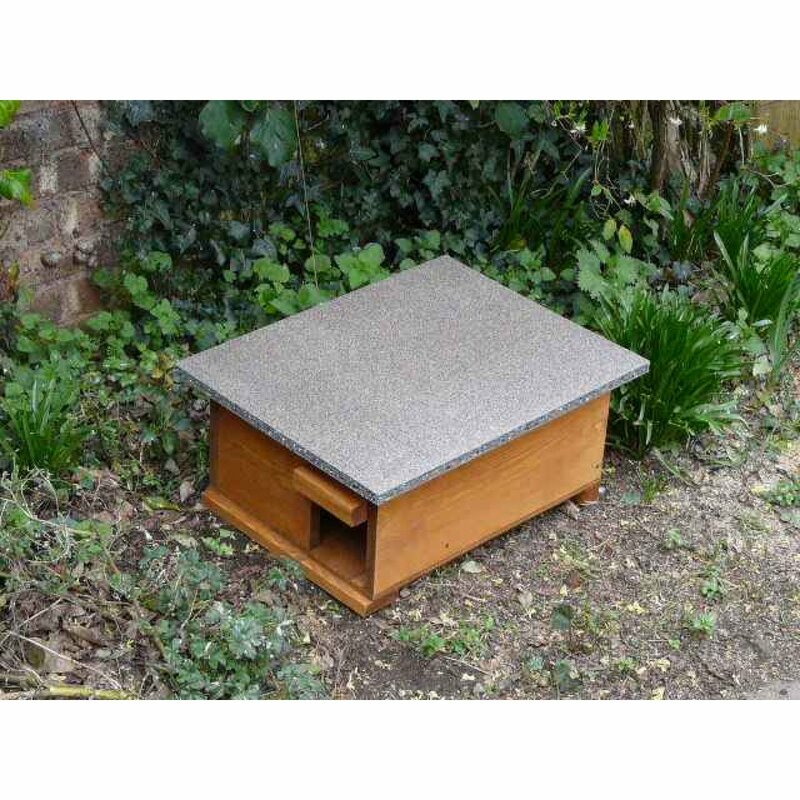 Is the hedgehog eco house made from FSC untreated timber, and not treated in any way by you / the manufacturers? then you would have to arrange the rest of the delivery to France. 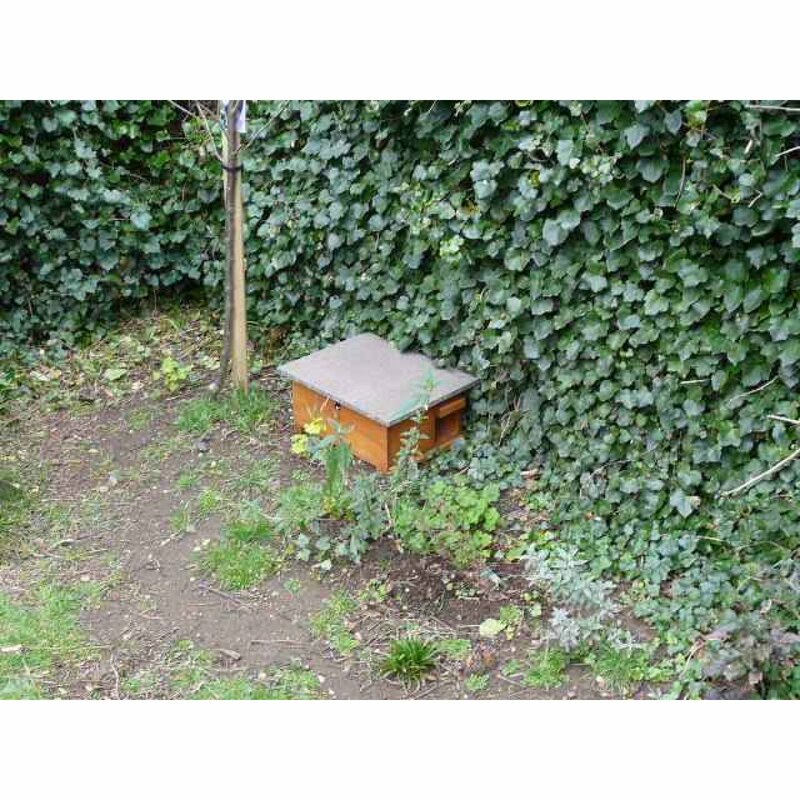 After doing some research, I have been directed to your site for a Hedgehog home. 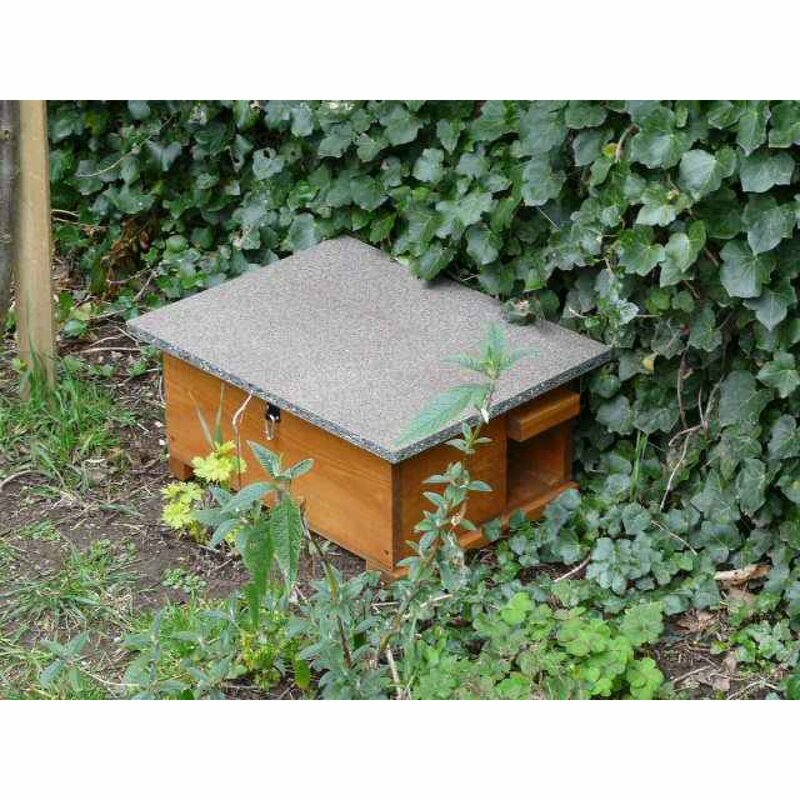 From looking at your products, which would you consider most suitable for a general hedgehog home?...obviously you have this Eco house, the Gold house and the Rescue house, which all seem very similar.